My senior students like all sorts of puzzles very much. 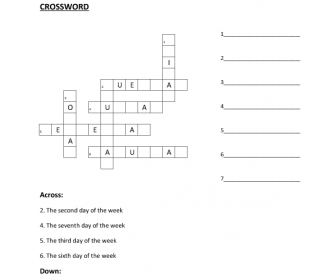 These worksheets are suitable to practise vocabulary easily in different ways and having fun. 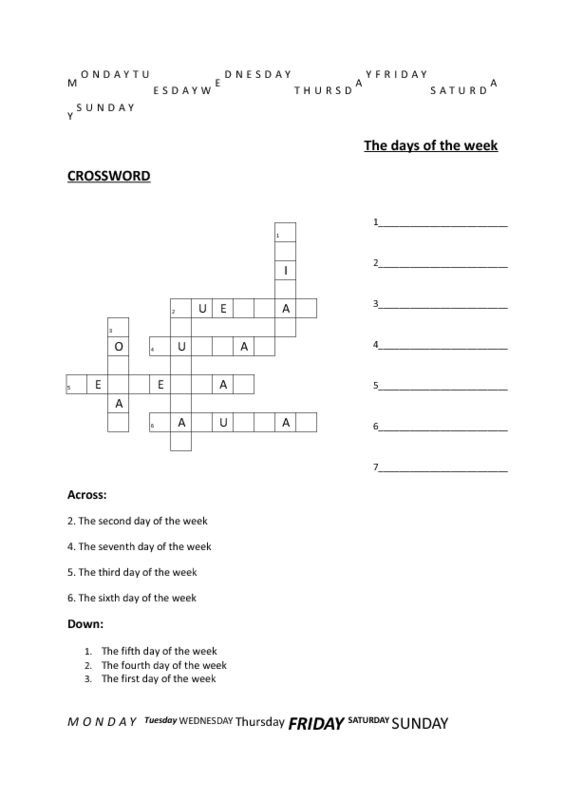 With crosswords, scrambled words and "snake-words" they can revise the days of the week and the ordinal numbers.